Hey guys! 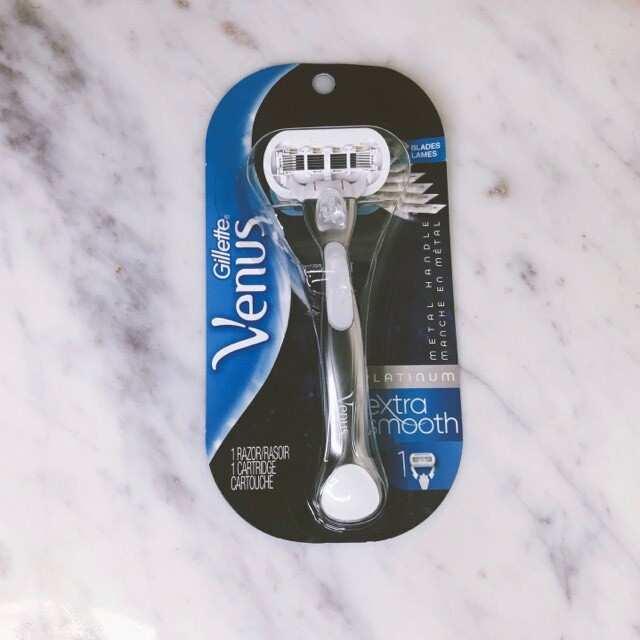 Just wanted to do a quick little review on the Gillette Venus Platinum razor I received from Influenster. I'm a huge fan of Venus disposable razors but I'm really bad about throwing them away once they get a little old because they feel disposable. The Venus Platinum though, feels more like something I could keep for a long time and actually buy replacement heads for. Its made of a hard metal which I feel gave more stability than a normal razor which led to a closer, smoother shave. Its priced at 12.99 which I think is a great price for this razor. I received mine from Influenster for absolutely free in exchange for my honest review. If you don't know, Influenster is an app/website that gives you products 100% for free just for reviewing them on social media. There is a whole post about them in my beauty section.